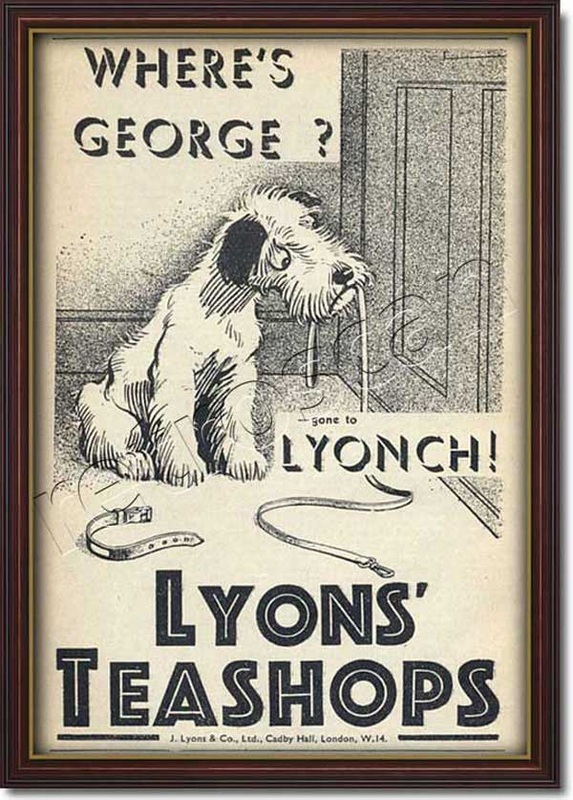 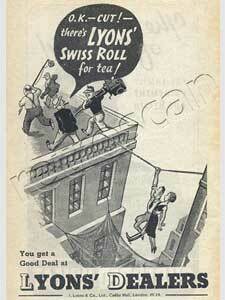 1935 Lyons Tea Shops - Where's George? 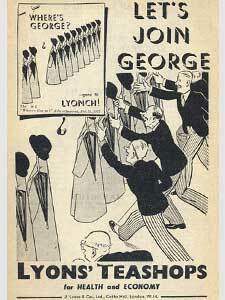 Headline: WHERE'S GEORGE? 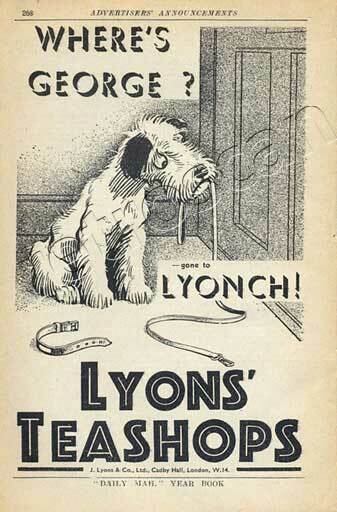 - gone to LYONCH!